Ayade Presents N1.3trn Budget, Biggest In Nigeria’s History – Royal Times of Nigeria. 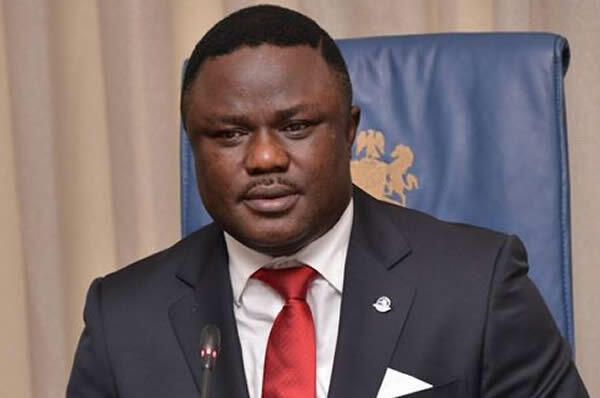 Cross River State Governor, Professor Ben Ayade, has presented the 2018 Appropriation Bill of N1.3trillion to the State House of Assembly. The budget is the largest a state has ever presented in Nigeria’s history, although Lagos State presented N812billion budget for 2017. According to Governor Ayade, the proposal christened “Budget of Kinetic Crystallisation,” is tailored to fit the dreams and aspirations of the people of the state. Presenting the bill on Thursday at the Cross River State House of Assembly, he informed the lawmakers that the choice of a deficit budget rather than an envelope one was to allow for flexibility. He said this comes as the state government moves to actualise most of the deep visionary projects of his administration such as the Bakassi Deep Seaport and the 274km superhighway among others. Ayade said other innovations in the 2018 Appropriation Bill included the provision for the establishment of a job creation centre, school feeding programme, as well as a food bank to cater for the poor, aged and the vulnerable in the state. In his response, Speaker of the Cross River State House of Assembly, Honourable John Lebo, assured the governor of the support of the House towards the realisation of the goals and aspirations of government’s vision for the state.